Hello crafters! First, I want to thank everyone who joined in my first linky party. I had I had blast looking at everyone's blog. Don't forget to join me tomorrow for another linky party and there may even be a prize! 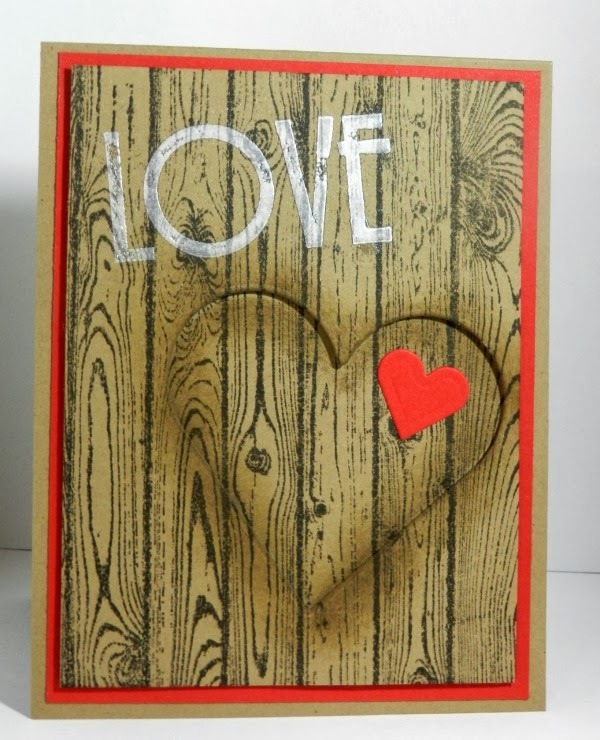 I just love the new hardwood background stamp. I am casing a card I found on YouTube from Frances Martin. I did change it up a bit with die cutting the heart versus doing to inking techniques. I hope you enjoy! Thanks for stopping by!